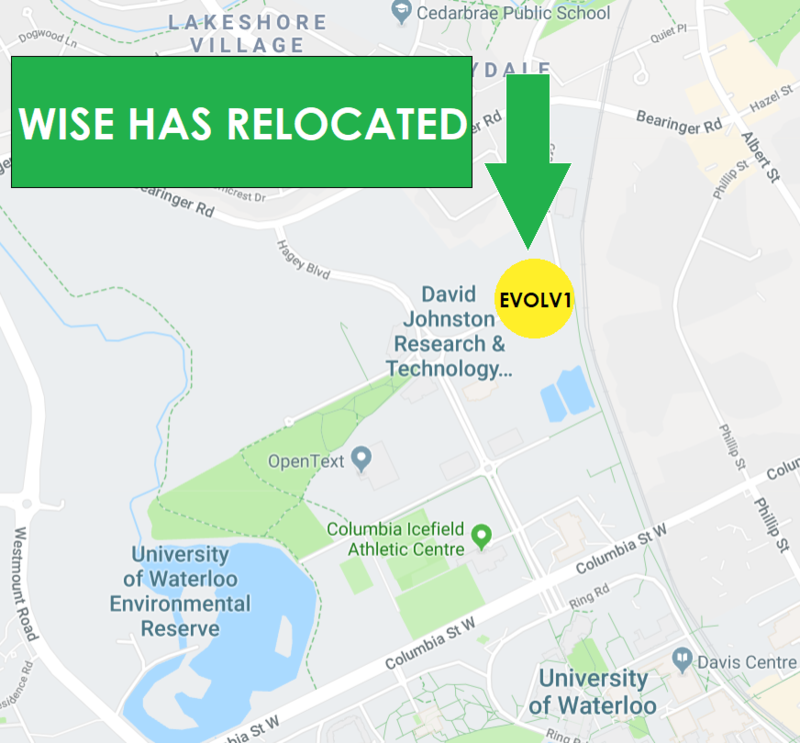 WISE HAS MOVED TO THE NORTH CAMPUS IN THE DAVID JOHNSTON RESEARCH TECHNOLOGY PARK. Our offices are at 420 Wes Graham Way in EVOLV1 rooms 1004-1011. . Unfortunately, at this time there is no UW campus shuttle to the EVOLV1 building. The WISE office now offers free parking. Charging stations for all electric vehicles, including level I, II & III are available for our members, visitors and attendees of events in the EVOLV1 lot.